In this groundbreaking volume, contemporary art historians—all of them women—probe the dilemmas and complexities of writing about the woman artist, past and present. Singular Women proposes a new feminist investigation of the history of art by considering how a historian's theoretical approach affects the way in which research progresses and stories are told. These thirteen essays on specific artists, from the Renaissance to the present day, address their work and history to examine how each has been inserted into or left out of the history of art. 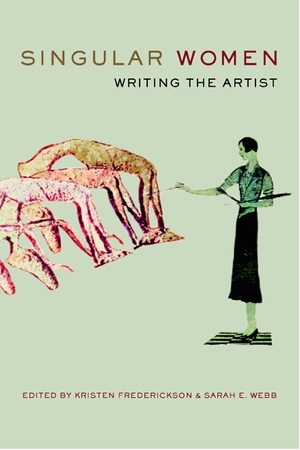 The authors go beyond an analysis of the past to propose new strategies for considering the contributions of women to the visual arts, strategies that take into account the idiosyncratic, personal, and limited rhetoric that confines all writers. Kristen Frederickson is an independent scholar and curator who has taught Art History at Bryn Mawr College, Hunter College, Seton Hall University, the New York Academy of Art, and Christie's Education. She is Director of the Kristen Frederickson Contemporary Art Gallery in New York. Sarah E. Webb's installation and sculptural work is exhibited nationally. She is Visiting Assistant Professor of Art and Art History at the University of Rochester.